Are you looking for the best movie making and video editing apps? 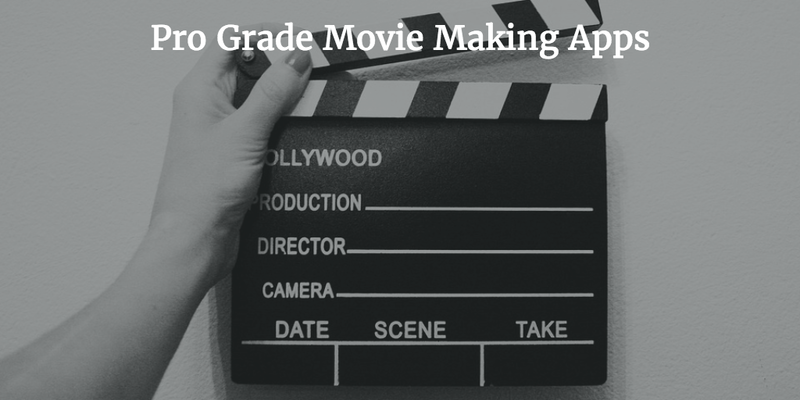 If yes, it is the right place for you, here you can see 18 best pro-grade movie making apps for iPhone and iPad. With the help of these movie making apps, you can shoot, make and edit videos professionally, and you can become a master filmmaker. 1. 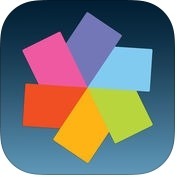 Vizzywig 2017 - Video Editor 4K Multicamera Studio ( iPhone + iPad + Apple Watch ) :-Vizzywig is one of the best and powerful movie making and video editing apps for iPhone, iPad and Apple Watch. With the help of Vizzywig app, you can select, edit, transform and import photos & videos in one finger tap from albums, Dropbox, Digital cameras and, you can add music, studio intros, titles, lower-thirds, B-Roll, scrolling credits and more within seconds. Vizzywig app has lost of unique features such as eight times more pixels per frame than face time HD, multi-camera recording, every frame of your video is a poster quality print, multiple aspect ratios and frame rates, 1080p, 720p and 360p settings, real-time editing features, professional-grade music tracks, hollywood-style intros, titles & credits, manual controls for focus & exposure, precise trimming tools, instant sharing options, snapshot & title slide overlay and, much more. 2. 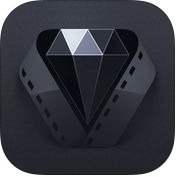 FiLMiC Pro ( iPhone + iPad + Apple Watch ) :- With the help of FilMiC Pro app, you can make high-quality movies on your iPhone, iPad and Apple Watch. FiLMiC Pro app has advance and user-interface features such as high speed frame rates & sync audio frame rates, slow & fast motion FX options, standard manual & hybrid shooting modes, apple watch support for remote start/stop and live video preview, portrait & landscape shooting orientations, variable speed zoom, configurable time lapse recording, customizable saved personal presets, aspect radio framing guide overlays, tri-mode histogram, including waveform monitor, image stabilization, downsampling to multiple size or resolutions and, much more. 3. 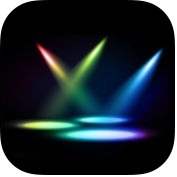 Pinnacle Studio Pro ( iPhone + iPad ) :- If you want to become a perfect and master videomaker or creative filmmaker, you can use Pinnacle Studio Pro app on your iPhone and iPad. With the help of Pinnacle app, you can work with any media on your device like video, audio and photos, you can access media from external devices via an Camera Connection Kit and access media from Box, Vimeo, Dropbox, Google Drive and Microsoft OneDrive, you can download media from iCloud Photos directly from the app library, you can easily navigate your project with intuitive gestures, you can easily replace one clip with another, you can create slow motion and fast motion effects for video and audio and maintain audio pitch, you can use montage templates to create multi-layer 3D animations, transitions, and titles, you can view and adjust audio levels in realtime with the professional Audio Mixer and, you can easily share your movies through Facebook, Cloud-storage, YouTube, Airdrop and other social networks. 4. 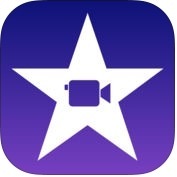 VideoShow PRO - Video Editor ( iPhone + iPad + iMessage ) :- VideoShow Pro is one of the best and excellent video editor apps for iPhone and iPad. VideoShow Pro app has fantastic exclusive features such as exclusive effects for pro users, supports 4k videos and supports exporting 1080p videos, multi-music, sound effects, live dubbing, more than 50 elaborate themes provided to generate a characteristic music video instantly, more than 100 of background music recommended for you, various text styles, add stunning filters to make videos different, zoom in and out, fast or slow motion to adjust and control video speed of every clip, blurred background, voice enhancement and audio speed adjustment and, you can even record your own voice. 5. Cute CUT Pro - Full Featured Video Editor ( iPhone + iPad ) :- Cute Cut Pro is a unique and full-featured video editor or filmmaker apps for iPhone and iPad. With the help of Cute CUT Pro app, you can create your own unique movie, you can make rich quality movies and, you can also arrange your media segments easily. Cute cut app has several amazing and powerful features such as supports Mimultaneous adding of UP to Six different types of media into movie projects like video & photo as well as self Draw, text, music & voice, supports various resolutions & aspect ratios, UI supports both portrait and landscape modes, Draw directly on movie, more than 30 drawing tools, highly customizable transitions, export to camera roll, share your movie and, much more. 6. 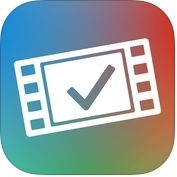 VideoGrade - Color Editor for HD Video and Photos ( iPhone + iPad ) :- VideoGrade is one of the most flexible, powerful and user-friendly video editor apps for iPhone and iPad user. It is easy to use color grading editor for video. With the help of VideoGrade app, you can record video with synchronized to your device easily, you can export your videos in full HD or choose between the other export presets and, you can also capture frames from your videos and save them as images. 7. 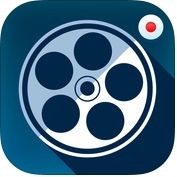 MoviePro : Video Recorder with Limitless options ( iPhone + iPad ) :- Do you want to make attractive and amazing videos effortlessly? 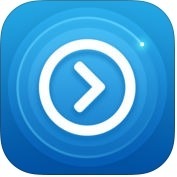 If yes, you can use MoviePro app on your iPhone and iPad. 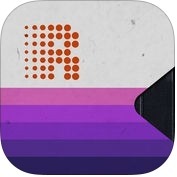 It is the most powerful video recording and film making app for iOS users. 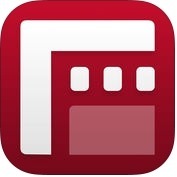 MoviePro app has lots of effective and advance features such as Record directly in camera roll, capture stills while recording, zoom with speed control, manual focus, exposure, white balance, host of video resolutions and aspect ratios, high fps modes, 4k resolution on iPhone, image flip setting options, portrait and landscape modes, audio meters & silent audio option, timer to trigger recording , 3D touch to quick launch any preset, switch cameras while recording without loss of audio, share to camera roll Dropbox, YouTube, Facebook and other social networks and, much more. 8. 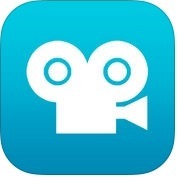 VivaVideo PRO Best Video Editor & Movie Maker HD ( iPhone ) :- With the help of VivaVideo Pro app, you can make best and professional video on your iPhone, you can easily create your video stories and share with your family and friends, you can transform everyday moments, you can export your videos to the gallery at any time and, you can also share your videos to Facebook, YouTube, WhatsApp, E-mail, and other social networks. 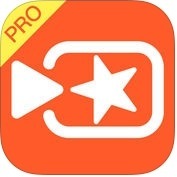 VivaVideo Pro has lots of amazing and useful features such as no watermark, no ads, unlimited video length in exporting, HD quality export, powerful video editor, easy-to use professional editing tools, trim and merge video clips in storyboard editing, enhance your videos with various texts, FX, stickers, music, filters, transitions and live dubbing, creative video camera lenses, hot photo slideshow maker, unique video collage (PIP) Maker, more than 200 special effects including animated stickers, themes etc, and, much more. 9. VHS Camcorder ( iPhone + iPad ) :- If you want to impress your kids or your girl friend, you can use VHS Camcorder app on your iPhone and iPad. With the help of VHS Camcorder app, you can create videos of your kids that look like the ones from your childhood, you can impress the new girl by using this app to convince her you built a time machine, you can make your kids' incredibly boring school plays actually watchable, you can change the on-screen date to trick your friends, you can create flashing cheesy custom titles, you can mess up the photo during recording using your finger or by shaking your device, you can easily share videos from within the app or through camera roll, you can built-in-up viewer for playing back, deleting and sharing clips and, you can also choose your frame rate. 10. 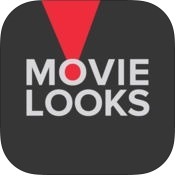 Movie Looks ( iPhone + iPad ) :- With the help of Movie Looks app, you can make movies Hollywood style in more than 40 movie inspired looks and, you can also add emotional impact and fantastic color treatments to your videos. Movie Looks app has several amazing and user-interface features such as pick any video in your library, brightness and strength controls to adjust the effect, more than 40 look effects, popular film looks, shoot your own crime drama, give the look of silent films and, you can make old-fashioned home movies on your iPhone. 11. IntroMate - Intro Maker for iMovie ( iPhone + iPad ) :- If you want to make professional quality with highly customizable HD templates movie or videos, you can use IntroMate app on your iPhone and iPad. With the help of IntroMate app, you can create impressive intros, inserts, announcements and film credits for any movie project, you can save your intro to the camera roll in a few taps, you can grab videos and images from your camera roll and document picker, you can import and arrange music from your iTunes library and document picker, you can tint template colors to match your film style, you can export your intros up to 4k and, you can also use as clips in iMovie and other video apps. IntroMate has several unique features such as more than 45 stunning free templates to choose from, more than 240 fonts available, including more than 40 specially selected for movie titles, templates with music and sound effects, real-time editing and preview and, much more. 12. Title Master - Animated text and graphics on video ( iPhone + iPad ) :- Are you looking for an amazing professional animated text and graphics video editor app? 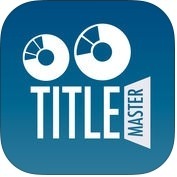 If yes, you can install Title Master app on your iPhone and iPad. With the help of Title Master app, you can create unique videos with wonderful animated text, graphics and music, you can customize your titles with animation effects, you can use video from your video library or record new ones within the app, you can select exact in and out points for your titles, graphics and music, you can even choose the individual order of animation, you can add background music from your music library and, you can also export to your camera roll or video library. 13. iMovie ( iPhone + iPad ) :- With the help of iMovie app, you can create beautiful movie and watch them on all your devices in iMovie Theater, you can browse and share your videos, you can mark favorite moments to easily find them later, you can choose from 14 trailer templates with stunning graphics and original scores, you can customize movie studio logos, cast names and credits, you can use 3D Touch on iPhone, you can choose from 8 unique themes with matching titles, transitions and music, you can enhance your movie with slow motion, fast forward, picture-in-picture and split-screen effects and, you can create a soundtrack using built-in music and sound effects, songs from your music library and, your own narration. 14. 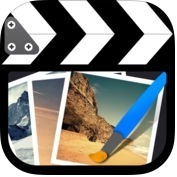 Magisto Video Editor & Movie Maker ( iPhone + iPad ) :- Magisto is one of the best and advanced Video Editor & Movie Maker apps for iPhone and iPad. 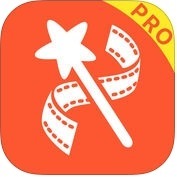 With the help of this pro-grade movie making app, you can create wonderful and professional looking video, you can turn your photos and videos into magical video stories, you can upload photos and videos from your gallery, you can add music to video from your device, you can share your videos on Facebook, Instagram, Twitter and other social networks, you can choose your movie editor style and let Magisto apply automatic video stabilization, facial recognition, video filters and video effects and, you can also transform wedding photos and wedding videos into elegant wedding movies. Magisto has lots of unique and user-friendly features such as create longer movies, use 25 min of footage, premium editing styles, unique business styles, add your logo and captions, upload 30 photos per movie and, much more. 15. 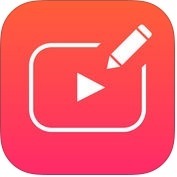 VidLab - Video Editor, Movie Maker & Collages ( iPhone + iPad ) :- Do you want to use a multi-track and multi-clip video editor or movie maker app on your iPhone and iPad? If yes, you can use VidLab app that allows you to easily create amazing, beautiful, fun videos and photos stories by adding text, artwork, music, video, sound effects, overlays, voice-overs and more to your movies or videos. Vidlab has several advance and powerful features such as adding & animating text over videos, video collages, add your own fonts, adding and animating artwork over videos, add stunning video effects, filters and, more. With the help of VidLab app, you can import photos into your video project or create a photo story to bring your moments to life, you can import music from the entire iTune catalog & choose sound effects to add to your video and, you can also import any image from your camera roll and phone library into your video or photo story project. 16. Stop Motion Studio ( iPhone + iPad + Apple Watch + iMessage ) :- With the help of Stop Motion Studio app, you can create beautiful stop motion animated movies anywhere instantly on your iPhone, iPad and Apple Watch. You can create movies in ultra high definition with four times the resolution of full HD, you can import images from your photo library into your movie, you can fade your movie in or out for a professional look, you can choose from seven wonderful effects to give your movie an extra-creative professional touch, you can import video clips and create stunning animations by painting over it, you can add movie titles and credits using eight different themes, you can merge frames together to simulate fast movement, you can add music from your own song library to your movie, you can export your movie in up 4k UHDTV quality and, you can also export as animated GIF. 17. 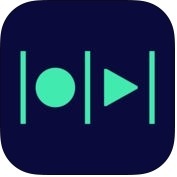 Vont - Text on Videos ( iPhone + iPad ) :- Vont is one of the best and popular video editor apps for iPhone and iPad, that allows you to add text to videos. It is very simple and user-friendly video making app. With the help of Vont app, you can install more than 400 fonts and other fonts, you can also copy font files between your computer and Vont on your iOS device. 18. 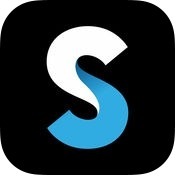 Splice - Video Editor + Movie Maker by GoPro ( iPhone + iPad ) :- With the help of Splice app, you can create professional-looking videos on your iPhone, iPad and other iOS devices, you can add title slides, text overlays and a custom outro, you can trim, cut and crop your photos and video clips, you can bring your photos to life with pan and zoom effects, you can adjust playback speed for fast or slow motion, you can trim and mix multiple audio tracks with precision, you can add narration or custom sound effects with the built-in voice recorder, you can easily share through Facebook, Instagram, YouTube and other social networks and, you can also save videos to your camera roll in up to HD 1080p.